Bookings are now open for the 2016 ACSPRI Winter Program. The Winter Program will be taking place at University of Queensland 27th June to 8th July. This Program includes all of the more popular ACSPRI courses as well as a couple of newer ones. ACSPRI courses are small group and 'Hands on' (between 10-20 people) to ensure quality attention from instructors. All courses are intensive and run from 9am to 5pm for the week (with breaks throughout and an early finish on Friday). Throughout the year, ACSPRI will offer courses that cover topic ranging from General Statistics, Multiple Regression, Structural Equation Modelling, Experimental Design, Survey Research, Social Networks, Qualitative Research, Mixed Methods, Program Evaluation and many more. ACSPRI courses cover a variety of levels, ranging from Fundamentals (Level 1 Introductory) to very Advanced (Level 5). Our instructors are experts in their respective fields and bring with them their research experiences from the field. Attending an ACSPRI course is an opportunity to network with other researchers from a variety of fields. We serve a light lunch, morning and afternoon teas. These breaks provide you with an excellent opportunity to network, share and exchange ideas with other researchers. Please note that some dietary allergies or religious restrictions can be catered for, but we are limited by our caterers. Our caterers can (with advance notice), cater for Vegans, Vegetarians, Gluten Intolerance and Halal/ Kosher meals. If you have further restrictions beyond these categories, we suggest you supply your own food. Bookings must be made on-line via the Winter Program page. Full Program details and a list of course descriptions can be found on this page by scrolling down or referring to the subject headings above (Dates, How to enrol, FAQs, etc). Prices listed include course notes and depend on whether your organisation is an ACSPRI Member, and also whether you book and complete payment before the Early Bird Deadline. For more information, scroll down or click on FAQs or you can email info@acspri.org.au. So, register now to enhance your professional development portfolio this Winter. Step 1: Log in to the ACSPRI website (you can create an account or request a new password if required). The account should be in the name of the person taking the course. Alternative billing details (e.g. for a Finance Officer) can be entered later if need be. Step 2: Check the status of the desired course. If places are available the status will show up as "Open". If the course is "Full" you will be able to join the waiting list for that course. You would then be contacted via email if a place becomes available. Step 3: Select the title of the desired course to see the course outline page. Select "Add to cart" and proceed to checkout. Step 4: Enter billing details (e.g. yourself or an admin/finance officer) and either finalise payment by credit card or request an invoice by selecting 'Direct Deposit' (please keep in mind the relevant payment deadlines). Step 5: Click "Review Order" to check the details and then submit order. Step 6: Check your invoice/receipt (under the course title) to see if your course has been confirmed to run at the program. If it has not yet been confirmed, you will receive an email when a sufficient number of bookings has been received and the course has been confirmed. ACSPRI courses are graded at different levels (1 to 5) according to the pre-requisites of that course. Generally speaking, a course at level 2 (e.g. Applied Statistical Procedures) will have a relevant level 1 course (e.g. Fundamentals of Statistics) or an equivalent level of knowledge or experience as a pre-requisite. Similarly, those attending a level 5 course, such as Advanced SEM, are expected to have completed an applied SEM course (level 4) or hold an equivalent level of competence in SEM as someone who has completed such a level 4 course. Without the pre-requisite background, you are likely to get little value from the course and could adversely affect the experience of others in the course. You should check the pre-requisites of your desired course in the course outline page. If you are still unsure about your level of preparedness for the course, you can contact the course instructor, whose email address you can find via the course outline page. 1. BOOKING - ACSPRI does not accept ‘expressions of interest’ for course places, i.e. all bookings, are considered firm, and a cancellation fee is charged if you cancel your booking after the early-bird date. You must either have a valid email address issued by the member organisation; or you must hold, or have a right to hold, a current staff or student identity card from the member organisation. Provide ACSPRI with contact details of your supervisor, so we can request them to confirm your eligibility for the full time student rate. The early bird rate applies to all bookings paid in full by the early bird close date, otherwise you will be charged at the standard rate. you cancel your enrolment before the early-bird closing date. A cancellation fee of $250 will be charged if you cancel within the period from the early-bird closing date of and one week prior to the commencement of the program. The full course fee will be charged if you cancel within 1 week of the beginning of your course. 4. PRE-REQUISITES - Course descriptions specify course pre-requisites. You must undertake to meet the pre-requisites of the course(s) in which you enrol. If in any doubt, you should contact ACSPRI prior to enrolling. On campus accommodation may be available at UQ through some of the colleges. Not all of them offer accommodation during the mid Semester break, so it is best to contact them directly. This is a link to a UQ web page that will link you to their websites. Many of them will have links to 'conference' or casual accomodation. 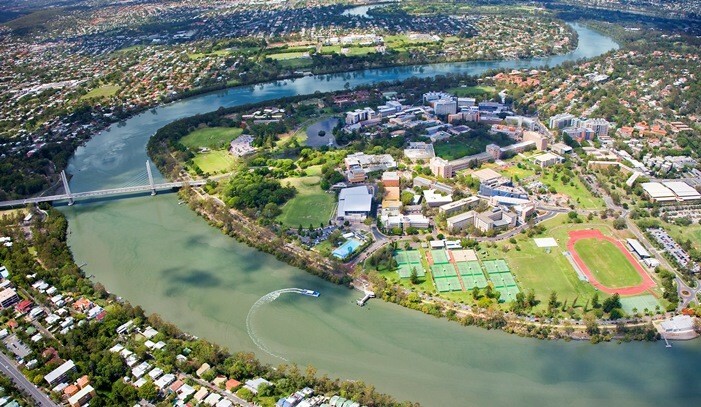 There are several other options in St Lucia, Toowong and West End, which are connected to UQ by the CityCat ferry and several bus services. Toowong is also only a few minutes from the city by train. A web search of 'St Lucia accommodation Brisbane' should provide you with some options. It is also possible to stay in the CBD and enjoy a reasonable commute, particularly if staying close to a CityCat stop or near Roma St Station. UQ has some details about suburbs around the campus at this link. Otherwise you may be able to find a room or apartment via Airbnb or one of the accommodation aggregator sites like www.wotif.com or www.lastminute.com. Just type in the suburb of St Lucia. The Brisbane City Council (CityCat) ferry service operates between the city (and beyond) and St Lucia. The ferry is a pleasant way to travel to campus and is also an effective way of commuting from areas such as Toowong and the city. The ferry stop at UQ is only a short walk from the Business School Precinct, where most ACSPRI courses will be run. Brisbane City Council buses stopping at UQ take you to one of two bus terminals. One is at Chancellor's Place (near the J. D. Story Building). Buses between this stop and the City include the 411 route or 412 route. The second terminal is at "UQ Lakes", at the far east of the campus near Playing field 3, which is at the UQ end of the Eleanor Schonell Bridge, from here you can catch the 66 bus route, which calls at Roma Street Station and a number of other central destinations or route 192, which takes you to and from the City via the West End. UQ have a list of all the buses servicing the campus here. A journey planner is available here. The University of Queensland (St Lucia) is ideally accessed by bicycle, with a safe riverside bicycle path connecting St Lucia campus to the city. You can follow the roads or use combinations of roads and bike paths. Remember too, that bikes may be taken on City Cat river ferries. There is a University Bicycle Shop in the St Lucia Campus Union Complex and bike parking facilities are available. Taxi ranks are located on the roundabout at Chancellors Place, and in University Drive, at St Lucia Campus. Paid parking operates on the St Lucia campus from 7:00am to 9:00pm every weekday. Please follow this link for details about casual parking at the St Lucia Campus, including maps showing car park locations, zones, parking conditions & signs. At St Lucia, there are two ways to pay for casual parking: CellOPark and Pay by Plate. Signs located in each zone have information on how to register for CellOPark, or pay using the Pay by Plate machines. Here is a link explaining how these systems work. ACSPRI accepts no responsibility for parking fines incurred by program participants. The Program will be held at the University of Queensland, St Lucia Campus. Most courses will take place in the Business Precinct (Blds 35 & 39A) near Blair Drive and Campbell Road. A campus map can be found here. Exact course locations can change at the last minute. You will be sent a information sheet about a week before the course starts with all the information you will need. We will have a registration desk set up in front of Building 35 (Chamberlain Building) from 8.15am on Mnday from which you will be directed to your lab or classroom. Your class will start at 9am. Breaks will occur daily at 10.30-11.00, 12.30-1.30 and 3.00-3.30. Sessions will begin at 9am and end at 5pm each day except Friday, where courses will finish by 3pm unless otherwise notified. 1.1. I'm not sure which course I should do. Where should I start? The program page has a list of courses being offered at the current program. This list also shows the course levels and whether the course is 'Open' to bookings or is full, in which case a waiting list will operate. If you click on the course title, that will bring up the outline for that course. It is important to check the level of the course as well as the pre-requisites, to ensure that you are at the expected level of preparedness. A full list of courses, including some infrequently-offered ones, is available at www.acspri.org.au/courses. 1.2. Will the same courses be offered at every program? No, but many courses are are the same, especially the popular ones. Course offerings are typically announced on the website and via ACSPRI News three to four months prior to each program. 1.3. I have read the course outline/s but I have specific questions about this course. Who can I ask? The instructor can help with course-specific questions. His/her email address is available via the course outline page. Program-related questions can be directed to info@acspri.org.au. 1.4. Do I need to bring text books for my course? Usually not but you should check the course outline. Course notes are provided and, in most cases, other background reading listed is useful but not essential. 1.5. Do I need to bring a laptop and/or software for my course? This depends on the course. If you require a laptop and software installed this should be mentioned on the course outline. Other courses will either take place in a computer lab with the software installed or do not require the use of a computer. Ocasionally a lab-based course will switch to laptops in the weeks prior to the course and course participants will be invited to bring their own laptops along (where the available teaching space is more suitable to laptops). In these cases, help will be provided if participants are struggling to obtain the appropriate software or are unable to bring a suitable laptop along. 1.6. What else do I need to bring to my course? Unless your instructor contacts you in advance of the course, it is safe to assume that you do not need to bring anything specific. Many participants of lab-based courses bring thumb drives so they can back up their work. This is often helpful for them. Labs are usually available during breaks and sometimes before and after class, so some ACSPRI participants choose to bring work with them. 2.1. Can I enrol in more than one course? Yes, at multi-week programs you can enrol in up to one course per week. The system will not allow you to enrol in more than one course per week as each course runs for the full week. 2.2. I need an invoice for payment or funding approval. How can I obtain one? If you select 'direct deposit' during the booking process, this will defer payment and you will automatically receive an invoice when you complete the booking (instead of a receipt). This invoice does not necessarily need to be paid by direct deposit; there are a number of methods available. If you do defer payment by selecting 'direct deposit', you will need to keep in mind the relevant due date or Early Bird Deadline and/or late cancellation date, and the ways these will affect your order. 2.3. What does 'Open' mean as a course status? This simply means that there are places available in this course. If a course becomes full or is cancelled, this will change accordingly. 2.4. When I update my shopping cart the course keeps disappearing. What am I doing wrong? You need to make sure you do not check the box to remove the course from your order. If the problem is something else, please email ACSPRI staff and let them know which step you are having trouble with. 2.5. My organisation is an ACSPRI Member but the non-member rate keeps showing up for me. What should I do? You may not be logged in as yourself or you may not have selected your institution from the list of ACSPRI Members when you first created your account. If you head to 'view my account' to the right of screen, you can update your 'groups' (i.e. your ACSPRI Member institution/organisation) from there. 2.6. I am not sure if my booking worked. How can I tell? If you have received an official invoice or receipt, then your booking is in the system. 2.7. I have made my booking. When will I hear from ACSPRI and/or my instructor? If this course has not yet been confirmed (refer to your invoice), you will receive an email when it is. You will also receive at least one bulk housekeeping email in the lead-up to the program - probably a few weeks prior. Some instructors also like to contact their class in advance of the course but in most cases your first contact with your instructor will be on the Monday Morning of your course, at the Program Welcome. 2.8. I have an 'ACSPRI Credit'. How can I redeem it. If you have an ACSPRI Credit, it should show up as an additional payment option in the billing screen when you make a booking. If the credit amount is less than the course booking amount, you will first need to select either "Direct Deposit" or "Credit Card" as the payment method and then underneath the credit card or direct deposit details enter the "Discount Amount (in AUD)". The new billing amount should then appear. 2.9. My invoice says my course is 'not yet confirmed'. Do I have a place in this course? Yes, you do have a place in this course (subject to payment by the due date), however this means we still require some more enrolments before this class is of a sufficient size to go ahead. As a not-for-profit organisation, we require courses to be of a certain size before they are viable. If we cannot reach this number, we will offer a refund (or credit if preferred) on any paid course fees. Most courses are typically confirmed a few weeks either side of the Early Bird Deadline. We try to make these decisions as early as possible and inform the course participants straight away via email. In the meantime, we recommend that you hold off on making travel or accommodation arrangements if applicable. Participants who enrol in a course that is already confirmed will be able to see this on their invoice. 2.10. If my course is not yet confirmed, should I hold off on payment? This is not recommended, because the number of paid enrolments received is a factor in deciding if a course will go ahead. There is no risk in payment for an unconfirmed course. In the rare case that a course is cancelled, a full refund is offered straight away (or the credit can be held for 12 months if preferred). 2.11. Can I enrol and pay for multiple staff members/students? Yes, but it is usually easier to have each person enrol themselves and then forward an invoice to you. A separate on-line account must be created in the name of each course participant using their email address. This is important for a number of reasons. If you are responsible for paying for several bookings, it may be easiest to have each of your colleagues make their own enrolments but defer payment during the booking process (by selecting 'direct deposit' instead of entering credit card details), and then forward the invoice to you. To pay multiple invoices see the payment details here. Alternatively you may decide to log in separately for each booking/payment, using each participant's login details. 3.1. Where do I find my course? Each week all ACSPRI participants will meet at 9am on Monday at the Program Welcome, which typically goes for about 20 minutes. Instructors are introduced and the groups break off and head to their respective classrooms/labs. The exact location for the Program Welcome is usually announced a month or so before the program via email and on the program page. The locations for specific courses can change at the last minute, so this information is not usually available in advance. 3.2. What does my course fee cover? The fee covers course attendance and a copy of the course notes. A light lunch is also provided, as well a snack including tea and coffee during morning and afternoon breaks (no afternoon break on Friday due to the early finish). Accommodation is not provided however information is usually available on the program webpage. Please note that some dietary allergies or religious restrictions can be catered for, but we are limited by our caterers. Our caterers can (with advance notice), cater for Vegans, Vegetarians, Gluten Intolerance and Halal/ Kosher meals. If you have further restrictions beyond these categories, we suggest you supply your own food. 3.3. What is the course timetable? Courses run from 9am to 5pm daily with breaks during the day and an early finish on the Friday. See "Venue and Timetable" for more details. Some course outlines also include a breakdown of activities by day or session.